Disclosure: Thank you to the Cratejoy for sponsoring this content. All thoughts and opinions expressed below are my own. For more information, please refer to the disclosure that can be found at the bottom of this post. Who doesn't love subscription boxes? Cratejoy offers the perfect way to explore and discover your next subscription box. Every month we will be able looking at just of the few amazing options available to you in the Cratejoy Marketplace. 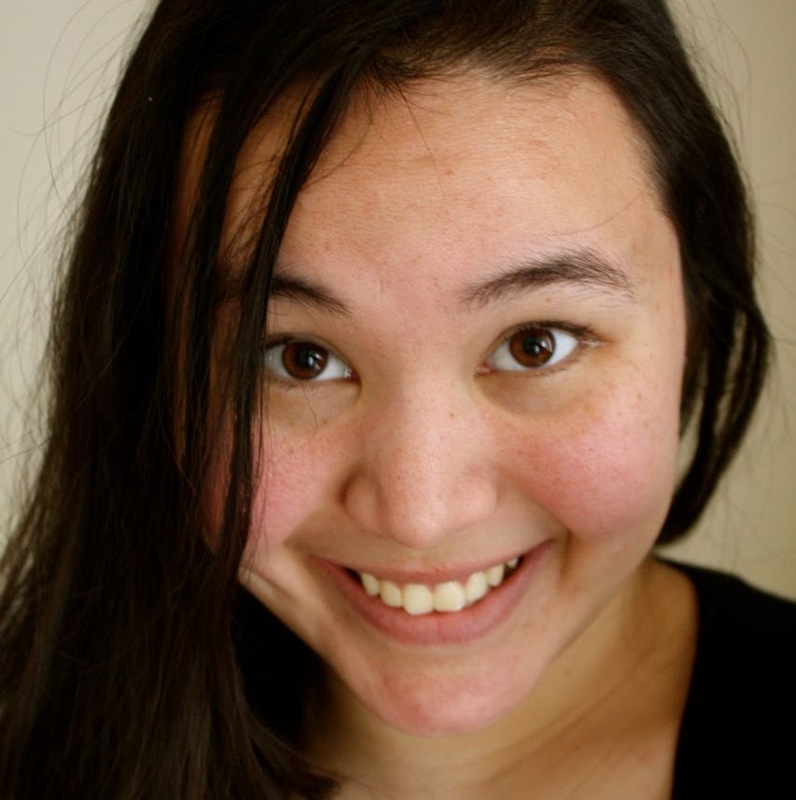 To learn more about Cratejoy, check out the review. The carriage necklace is beautiful, and a pleasant addition to the Beauty Joy box for May. My favorite item was the Mineral Fusion body lotion, which did wonders for my dry skin! This stunning subscription box came with beautiful white and gold confetti paper, making it a wonderful gift option. Beauty Joy provides one full-size high quality beauty product and two to three deluxe samples each month. Prices start at only $15/month, subscribe to the Beauty Joy subscription box today. Family fun that you can enjoy over and over again! Click here to subscribe to Game Box today! 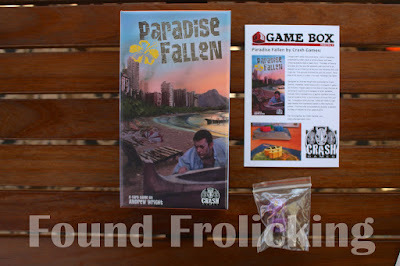 This month the Game Box sent out the Paradise Fallen card game. 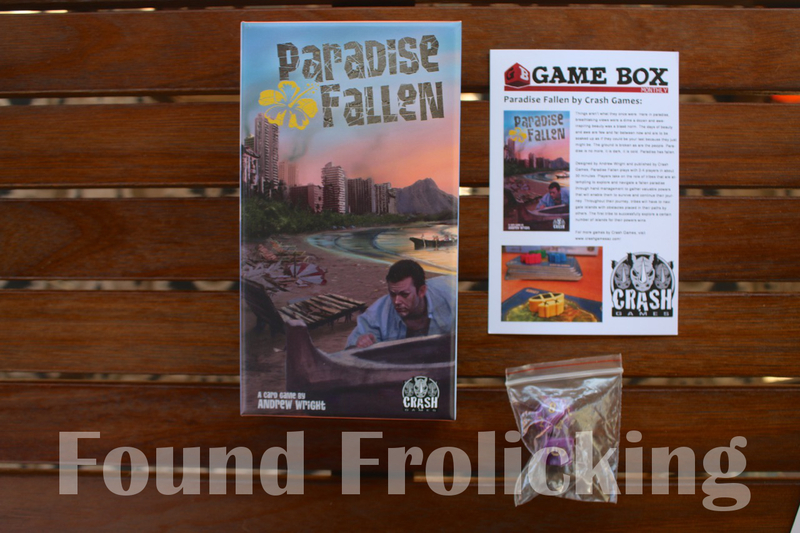 Paradise Fallen is for 2-4 players, and is a quick game that only takes about 30 minutes to play. This budget-friendly subscription box starts at only $25/month. Don't want to receive games that you have absolutely no interest in, or already own? No problem! Game Box asks you about your preferences and any games you already own when you sign up. You'll never receive something you already own, and the games you do receive will be tailored to your preferences. Of course, another great option is to occasionally give the games you receive as a gift! I don't often have time to play board games or card games, so I thought this game may receive more love elsewhere. I gave it to a friend of mine who has a spectacular little collection of board games and card games which she plays with friends and family, and she loved it! You'll be saying "YUM!" 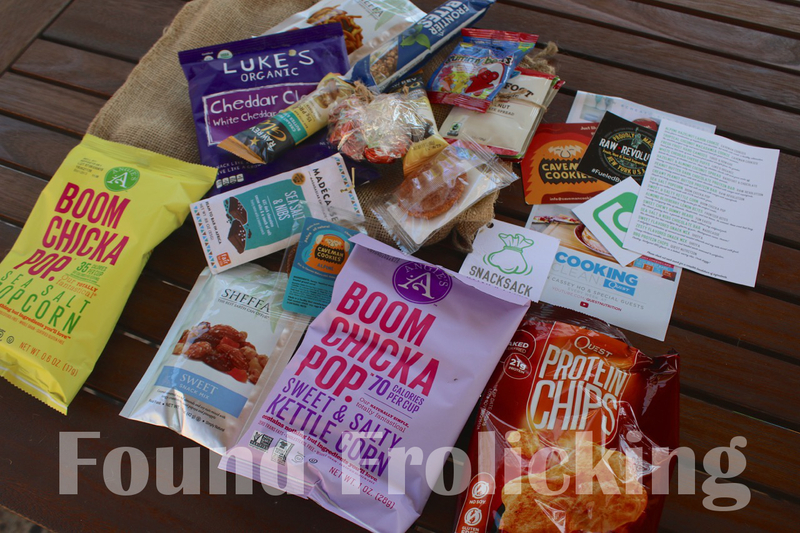 for days and days with this absolutely delicious subscription box! Filled to the brim, there were 15 snacks and treats in the May SnackSack. 1. Caveman Cookies Alpine Hazelnut Carob Cookie. 2. Caveman Cookies Tropical Coconut Macadamia Cookie. 3. Torie & Howard Fresh Fruit Hard Candies. 4. Luke's Organic White Cheddar Cheese Puffs. 5. Barefoot & Chocolate Hazelnut & Almond Coconut Spread. 6. Raw Revolution Peanut Butter Dark Chocolate Protein Bar. 7. Raw Revolution Creamy Peanut Butter Protein Bar. 8. Boom Chicka Pop Sea Salt Popcorn. 9. Boom Chicka Pop Sweet & Salty Kettle Corn. 10. Frontier Bites Almond Blueberry Lemon Bites. 11. Yum Earth Sweet Chewy Gummy Bears. 12. Madecasse Sea Salt & Nibs Chocolate Bar. 13. Sheffa Sweet Flavored Snack Mix. 14. Sheffa Zesty Flavored Snack Mix. 15. Quest Nutrition BBQ Protein Chips. My husband has been snacking on several of the bigger items at home, and the little treats to try have been a great option for him to take to work with him as a midday snack. He absolutely loved all of the variety and healthy options provided in the SnackSack. You won't find products with any of the artificial stuff in SnackSack, which begins at only $20/month. This subscription box is a mixture of vegan, non-GMO, vegan, and gluten-free products that are organic or all-natural. Subscribe to SnackSack on Cratejoy now. 1. Himalayan salt tea light holder. 2. Ionantha air plant. 3. 100% pure beeswax aromatherapy tealight. 4. Herbivore Botanicals blood orange lip butter. 5. B. Fuller's loving cup tisane blend. 6. Uplift Vitamin D + E Energizing Face Mist. 7. Pieces to Pieces headband. 8. Quin lollipops. 9. heart tea infuser. 10. notecard & envelope. This was by far my favorite subscription box so far! 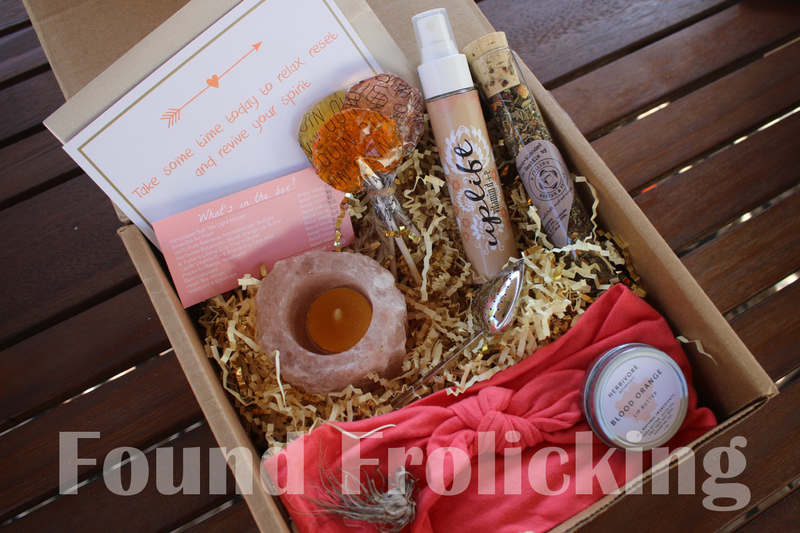 I had never heard of this subscription box before, but absolutely adore the little luxuries found inside. It's a very well-rounded box this month, with a little bit of everything. My favorite items for the May box were the Himalayan tea light holder, the beeswax tealight, and the blood orange lip butter (YUM!). Surprise a friend or family member with a single box or a subscription for up to 6 months. You can subscribe to Your Secret Admirer right here. Discover this and so much more from the Cratejoy Marketplace. 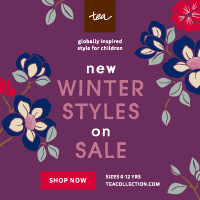 Browse their selection of more than 200 subscription boxes to find the subscription box for anyone and everyone in your life! Disclosure: I received product in order to facilitate this review. All opinions expressed are my own, and were in no way influenced by the brand or any other sources. The post and all photos with the watermark are the property of Found Frolicking, and should not be used or distributed in any way without first receiving permission. Found Frolicking is in no way responsible for prize shipment, but will work with the sponsors in all ways possible to ensure the winner receives their prizes. Find out how Found Frolicking can help promote YOUR business! If you would like to work with Found Frolicking for a review, giveaway, advertising, or promotion of any other nature, please email Lalia at found.frolicking@gmail.com. Cratejoy sounds awesome. Look at all that great stuff in there. I never heard of this site, but it sounds awesome for subscription boxes. I may have to check out the beauty joy one. These look like so much fun! I get a couple boxes, but none of these. Oh, I want that snack sack! That looks like it would be fun because of the big variety! I did not realize Cratejoy had so many different types of boxes, I would love for somebody to gift me the Secret Admirer box. I am considering the Pip & Lola's Soapy Goodness box. How can you beat $4.99 for homemade soaps? These subscription boxes really are the rage, aren't they? I think my favorite here is the game box! I like that they have a box for everyone. I haven't caved into the world of subscription boxes yet. I like the gamers box too. Subscription boxes can be so fun! These look like they are filled with good stuff! Those have a lot of fun items and snacks. These boxes sounds amazing. Thanks for sharing such an amazing and informative information. HTML Pro Team has got an extensive experience in PSD To Cratejoy Theme Conversion with the ability to work on Cratejoy theme setup and customizing account and subscription flow pages with a fast loading website. kit tattoo An increasing number of people are having medical alerts tattooed to aid doctors in case of an emergency.